You know your personal value can’t be measured with a number, but to banks, lenders, landlords, car dealerships and the like, your worth is tied to that all-important figure in the personal finances world; the credit score. 1. Investigate – Request a free copy of your credit report and go over it with a fine-toothed comb, looking for errors and inconsistencies. Don’t let a clerical mistake-or worse, identity theft-wreak havoc on your good credit. 2. Automate – Even the most organized woman can let the due date for a cell phone or insurance payment slip by once in awhile. Unfortunately, being a few days late on a bill can impact your score. Set up auto-pay on as many bills as you are able. 3. 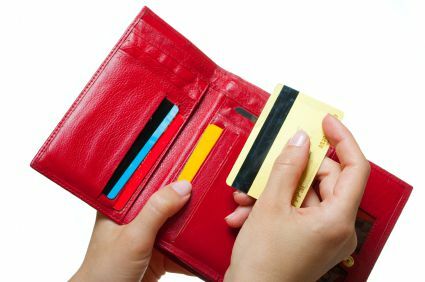 Maintain – Excited that you paid off a credit card that has been hanging around for months or years? You should be, but don’t close the account just yet. The powers-that-be like to see that you’ve maintained accounts over a span of time, so as tempting as it may be, don’t cut and run. 4. Act – Be conscious and take action to improve your credit score. This means proving that you can be responsible with your financial commitments, but it also means knowing when to pull the trigger. When you are applying for a loan, be wary of shopping around for too long, as multiple credit checks performed by lenders actually damage your report. There is no quick or easy fix for a damaged credit score, but with these few tips you’ll be on your way to bouncing back to solid financial footing!